Los Angeles Magazine has tapped Caroline Pardilla as drinks editor. In her new role, Pardilla will write a column for the print magazine, while also covering the same beat online for the magazine’s Liquid LA blog. She previously blogged at the site she founded, Caroline on Crack, from 2005 until earlier this year. 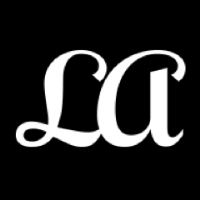 Follow Los Angeles Magazine on Twitter and Pinterest for more about Los Angeles lifestyle.